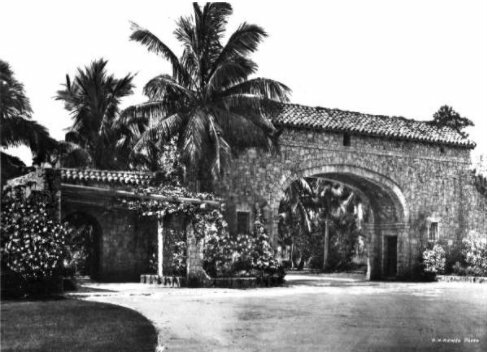 The ‘City Beautiful’ Coral Gables was created in the late 1920s by George Merrick. The ‘Gables’ was one of the first master planned communities in the US as well as Florida, before there was ever a Home Owners Association. The city was created to be not only a beautiful place to live, but also a walk-able, pedestrian friendly neighborhood. Still to this day, that aspect remains. Whether it is visiting Merrick Park, playing golf at the walking 9-hole Granada course (the oldest 9-hole in Florida), or strolling up and down Miracle Mile while dining at one of the many restaurants the mile has to offer, Coral Gables still offers today what it did many years ago. One way you’ll know you are in the Gables is the white rocks on the ground with street names. The City of Miami uses the standard poles with green signs, so while driving down Red Road, you’ll notice on the West side is the green signs whereas the East side is using the white rocks. That means you are in the gables! But what really draws people in are the Mediterranean style homes and the large, thick trees that line the streets. In fact, the trees are such an important part of the city that it is illegal to cut them down, even ones on your own property. The University of Miami (UM) calls Coral Gables home and is one of the top private universities. Students come from all over the world and overall attendance is over 17000 students. Besides being known for sports, UM has an excellent medical school with hospital partnerships around Miami. 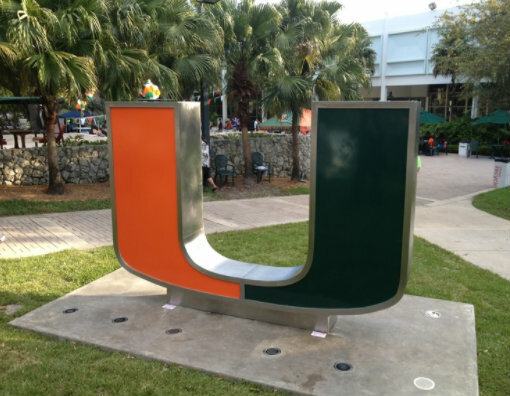 UM is located in the Southern part of Coral Gables with US-1/Dixie Hwy being the borderline. Schools including the highly rated International Studies Prep, where you can learn in not just English but also Spanish or French, and Coral Gables Prep with a full-time gifted program starting at 1st grade. Coral Gables now hosts a weekly Farmer’s market on Saturdays. You can find it at the beginning of Miracle Mile just off LeJeune/42nd. The city is also redoing the streetscape, widening the sidewalks and making an already popular walking destination even more pedestrian friendly. But you can’t mention the Gables and not attend one of their wonderful festivals each year. Carnaval on the Mile is a very popular musical & food event and is coordinated to begin the weekend before the annual Calle Ocho Carnaval in Little Havana. Burgerlicious is a decadent food event where attendees can feast on the best hamburgers Miami has to offer. 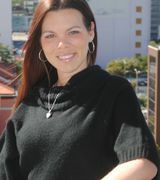 There is also the Grovetoberfest, the Orchid festival and Jazz in the Gables. The main attractions for the Gables though are the shops/restaurants on Miracle Mile and the Venetian Pool. 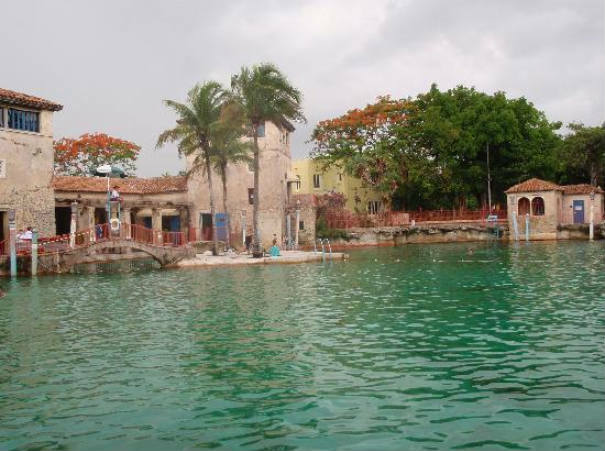 The Venetian Pool over 800,00 gallons of spring fed water from the aquifer underneath and was created out of coral rock in the early 1920s. It has 2 waterfalls, caves, grottos, and even a kiddie area. The pool gets very crowded on Summer weekends and the water can be quite chilly in the winter season! When relocating to the gables to buy a home, new owners should note that the trees that have become famous are also very difficult to remove from a homesite. Unless you can prove an undue hardship, it will be near impossible to get a permit to have one removed from your yard, no matter the burden. While searching for homes, you may come across homes advertised as ‘walking distance to Coral Gables’ or located in ‘Little Gables’, but note that these homes are not actually ‘in’ Coral Gables so you will not have access to Gables amenities like discounted golf rounds or being in the zone for the schools you wish your children to attend. One way to know you’re in the gables is the street names (Giralada, Granada, etc.) vs the typical Miami streets of NW 42nd Ave, SW 37th St, and so forth. 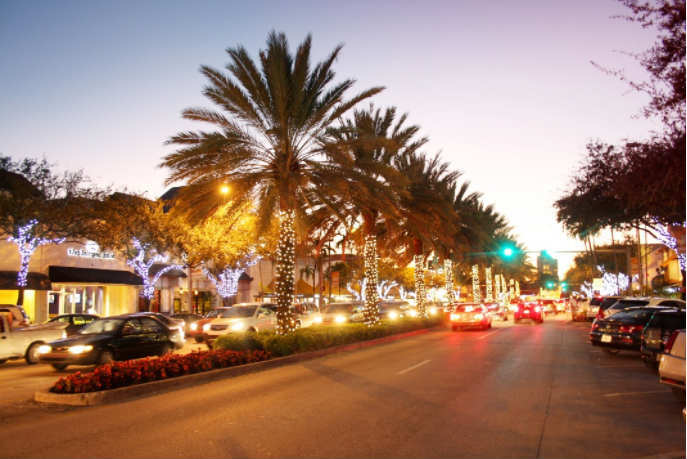 Once you’re in the Gables, you will never want to leave!